I am a Spiritual Psychic Medium, Spiritual Counselor, Ordained Minister and have sensed Spirits since my teenage years. I didn’t start working with my abilities until 2011. At that time I was comfortable enough to explore all the potential of what I could do, it was then I knew I was meant to use to help others.I worked in Special Education as a supervisor for group homes and spent a lot of time with Alzheimer’s and Dementia clients, always wondering and questioning the ”crazy” and strange ‘coincidences’ throughout my life. It wasn’t until the loss of another loved one that I realized there was more to this, and much more to come. 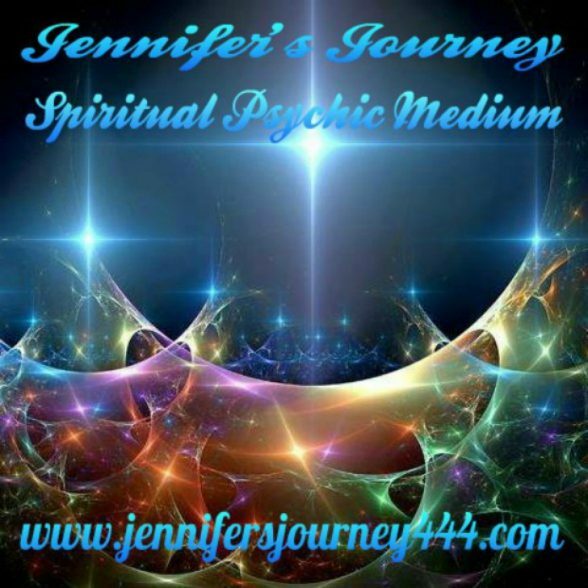 I was guided to my Spiritual journey and to those who would support me along the way, Given the name Jennifer’s Journey by Spirit and was also told it would be quite a journey. I have been blessed to meet and be guided by many who have offered support, and yes, it has been quite a journey. Although I did take classes to become certified, it was more the life experiences, those teachers, healers, and friends that have journeyed with me that taught me the most important things…the lessons. It is now my strong belief that there are no coincidences, everything happens for a reason and everyone that we meet along our path are meant to be there for one reason or another. I look at life with new eyes, and now see much differently than before, for this I am grateful.